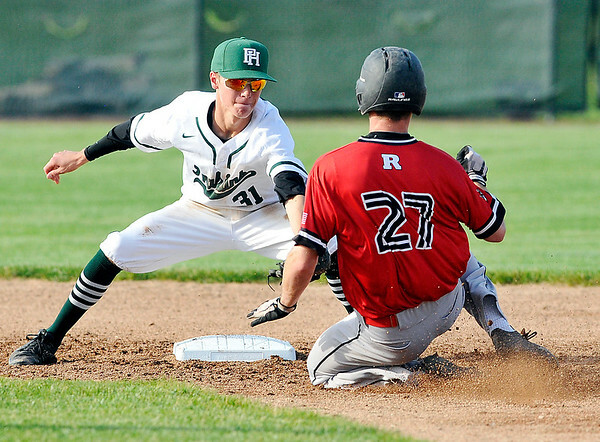 Richmond vs Pendleton Heights in boys baseball. Pendleton's shortstop Wyatt Douglas puts the tag on Richmond's Austin Turner as he slides into second base on an attempted steal in the second inning. Turner was out on the play.